Do you want to personalize your smartphone’s lock screen? 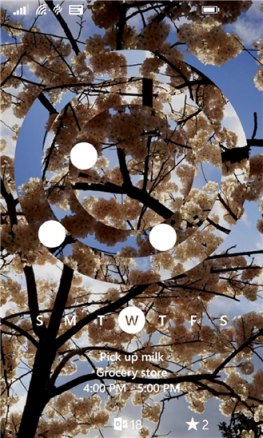 There is lot of lock screen apps available in smartphone world, but if you are a Windows Phone user, here is a lock screen app with attractive designs. 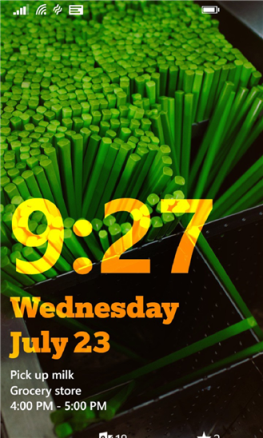 Microsoft released live lock screen app for Windows Phone 8 users that lets you to choose different 6 new lock screen layouts. Each design of lock screen layouts coming with a revamped design and you can customize it for the time, date and notifications. Also you can set a unique unlock animation for each time. There is an option change through multiple background images manually that keeps your lock screen fresh. Finally the app has Bing integration so you can get beautiful Bing Wallpapers that can be downloaded automatically every day. Microsoft Live Lock screen app works with all phones even entry level smartphones with 512 MB RAM. This is a beta app however it will be improved in upcoming versions.